August brought us thirteen books in the History, Memoir and Biography category, nine of which have not been featured in a round-up previously. 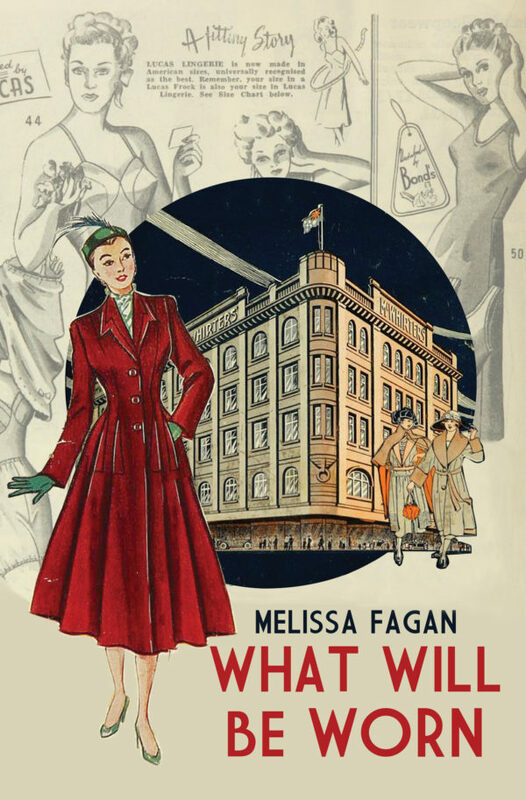 … a compelling and highly readable history of McWhirters, both the family – her family – and the famous department store in Fortitude Valley. The McWhirters building is an iconic Brisbane landmark and for Fagan it is a touchstone throughout this book as she investigates her family’s heritage and history, her forebears’ foibles, failings, successes and triumphs, and weaves it all together into a fascinating exploration of their lives…This is a brave book, because it digs deep, picking the scabs off old wounds and excoriating scar tissue to find out what lies beneath…. 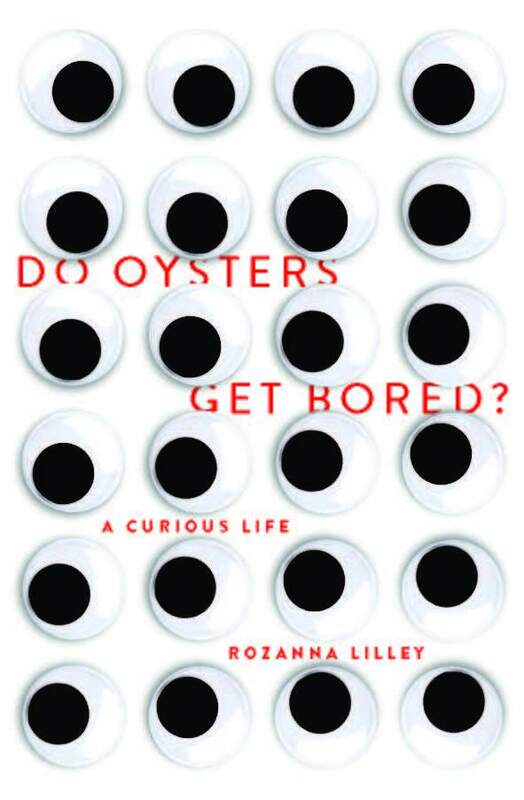 She investigates ‘facts’ and discovers fabrication, she gently presses the façade of respectability and finds scandal and impropriety, she takes well-worn family lore and uses her investigative skills to get at the real story behind the story (review here). Writing a family history/memoir when personal records are scant and elderly relatives party to fractured relationships are less than forthcoming, must be such a tricky thing. So while I found the narrative back and forth through time (and between documented fact and that imagined or surmised) jarring at first, I grew to appreciate the way Fagan has patched this layered tableau of historical events and personalities together….In What Will Be Worn Melissa Fagan’s candour in respect to her own life choices and family members still living is striking and the avoidance of sentimentality admirable (review here). 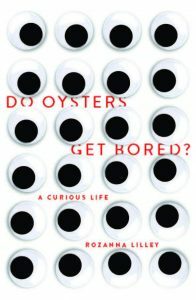 Do Oysters Get Bored? 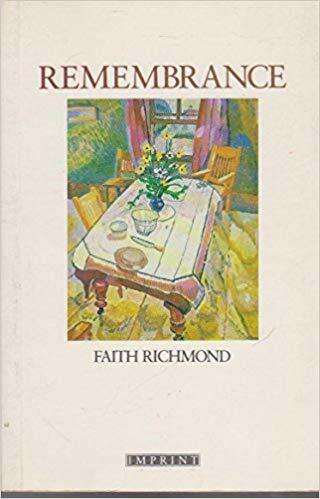 is in two parts, a series of essay-memoirs followed by a selection of poems, both dealing with the same two main themes, the author’s life as a girl and young woman as the daughter of Dorothy Hewett and Merv Lilley, and her life now as the mother of Oscar, who is high functioning autistic…. [ He notes] the extraordinary courage and intelligence that has gone into the writing of this book, both the remembered daughter story, and the current mother story – the courage, intelligence, and pervasive good humour (review here). …. I never warm to the author, she holds us at arm’s length though that may not have been her intention. Everything is described but nothing is felt (review here). Throughout her memoir, she touches on the racism experienced in both Britain and Australia, her frustrations at patriarchy and the seemingly narrow-mindedness of Indians, Brits and Aussies in their own ways. In the end, though, it is a memoir about tolerance and change, about culture- the good, the bad and the different, and about the importance of sticking to your guns regardless of the outcome (review here). No Country Woman by Zoya Patel is a story of identity – the intersection of three cultures and nations across generations – Fiji, India and Australia, and how these contributed to the identity of Zoya, and how the clash of her Fijian-Indian identity, to her, felt like it was at odds with the Australian identity that she grew up with…. 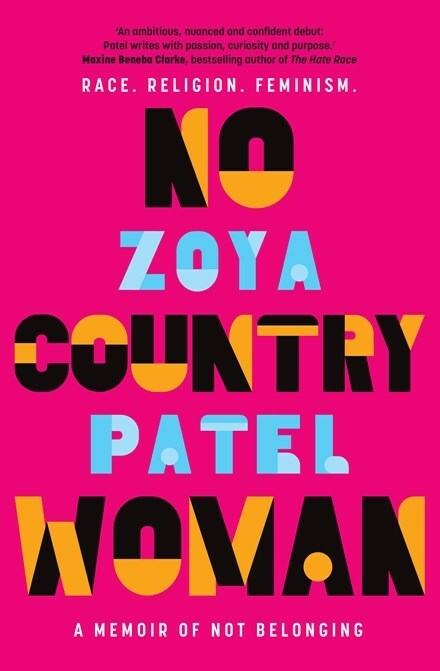 A wonderful memoir that that explores the intersection of vastly different cultures, religions, nations and race, alongside feminism, and how this shaped Zoya and her world, whilst recognising how the factors that make up an individual’s identity – whatever their race, gender, beliefs and ability – are as individual as hers (review here). In 2015, Lee began her first day of work at the Queensland District Court as a judge’s associate. The judge Lee worked with presided over a variety of legal matters, although cases of sexual assault and child abuse dominated his list…. Within two years, Lee was on the ‘other side of the bench’, as the complainant in her own case. Her journey through the legal system (fighting two counts of sexual assault) exposes the gruelling and confounding process that victims must face.….It’s rare that I find a book almost too distressing to read but I did have to have little rests during this one. It’s not graphic, it’s just so incredibly harrowing. And frustrating. And reading about the way the legal system deals with victims made me furious (review here). 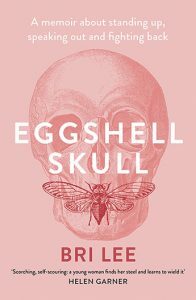 If there is one non fiction based memoir title you should read this year, make Eggshell Skull, by the incredibly brave Australian woman Bri Lee a priority. This is a scathing insight into the Australian justice system and the process of gaining a judicial result for a sexual assault claim. It is an incredibly raw and brave account of a young woman who finds herself on the other side of the justice system (review here). And it is precisely the detail which makes this book such a delightful read. 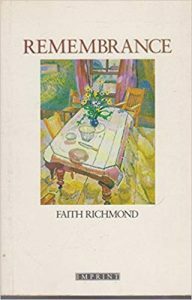 Reading Mrs Meredith’s accounts of travel, her observation of the flora and fauna makes me yearn to have a conversation with her (review here). 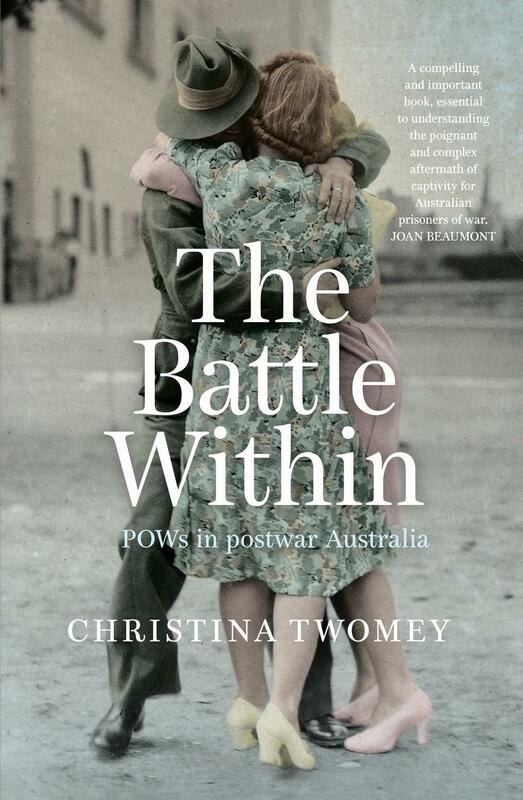 In her book The Battle Within, Christina Twomey focuses on the WWII prisoners-of-war, particularly those imprisoned by the Japanese, and traces through the changes in society’s reception and recognition of them…. It is well written and engaging, and refreshingly clean of military ra-ra. 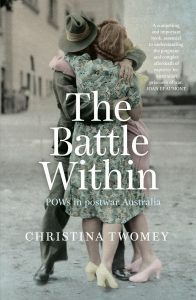 She makes good use of her resources in bringing former POWs to life, while acknowledging the class and political influences that affected their treatment by both bureaucracies and the public at large (review here). Exposing children early – whatever their gender – to these sorts of stories about people who weren’t what society expected of them not only shows that the stereotypes are not real, but that history is actually diverse and interesting (review here). Jennifer Cameron-Smith read Patsy Adam-Smith’s The Anzacs. Anita Heiss’ edited collection Growing Up Aboriginal in Australia received another review, this time from Angharad Lodwick at Tinted Edges. 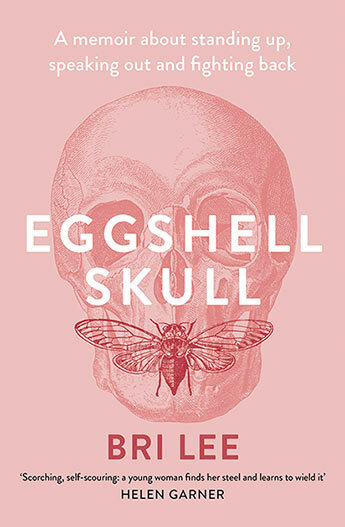 Clare Wright’s The Forgotten Rebels of Eureka, which won the Stella Prize in 2014, received its ninth review from Kate@Booksaremyfavouriteandbest. But that’s not as many as Sarah Krasnostein’s The Trauma Cleaner which now has twelve reviews, with new reviews from Amanda@MrsB’sBook Reviews and Kate Forsyth. Great round up and thanks for the mentions Janine. Thanks Janine. 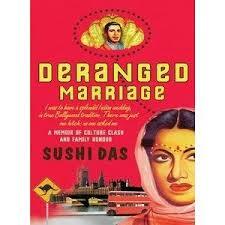 I don’t often read memoirs and I feel like I’ve ticked a bucket list item with your mention. I think biography might be more my thing than memoir, but memoirs certainly have become popular with more and more released all the time, haven’t they? They sure have! I was reading Richard Flanagan’s ‘First Person’ (yes, I know- not an Australian Woman Writer! )where he had a bit of a dig at the ubiquity of memoir at the moment. Pamela Freeman’s book looks great. 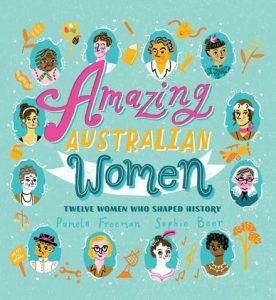 It would have been perfect for my children in primary school when they had to do an assignment on an Australian they admire. Most of the children picked a sports star.